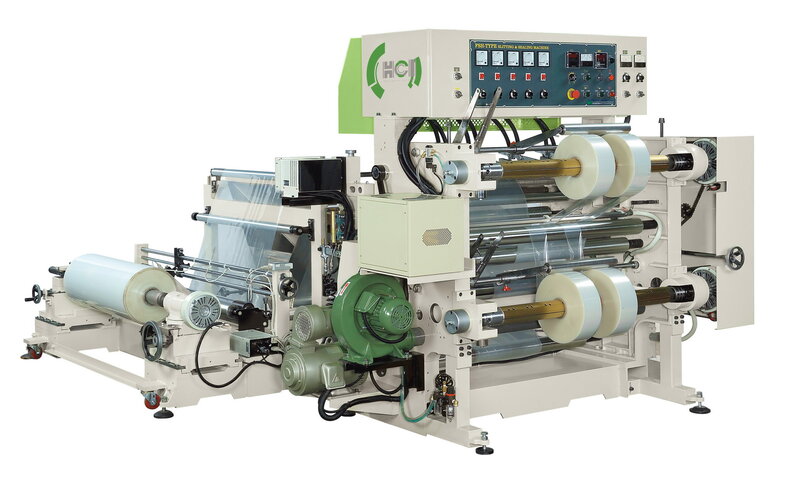 Heating Side Sealing Slitter Rewinder(FSH) - HCI Converting Equipment Co., Ltd. The cantilever (swing out) unwind shafts can be easily handled by a single operator. Duo cutting system: razor cutting in the air for regular films and heating knives for sealable films. The side sealing slitter mechanism employs exclusive electrical resistor knives (heating knives). Once power is on, the knives are instantly heated to the normal working temperature for immediate operation. Heating cutter auto ascending mechanism. Equipped with trim reject fan which can blow the trim out directly. Swing out type rewinding shaft for easy operation. Length can be easily preset during operation. When the pre-set length is reached, the machine stops automatically. Web guiding system (printing line & edge).